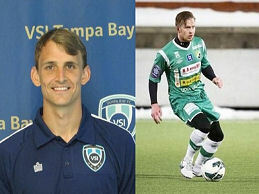 Ljungskile SK of the Swedish Superettan have completed the signings of goalkeeper Alex Horwath and midfielder Dominic Furness on one-year deals after impressing on trials. American goalkeeper Horwath has previously played for MLS sides such as San Jose Earthquakes, Seattle Sounders and New York Red Bulls and spent last season with VSI Tampa. Middlesbrough born midfielder Furness player college soccer in the US, before spending last season with top Icelandic side FH. Both players are in line to make their debuts for LSK in their season opener .v. Ostersunds on 6 April.